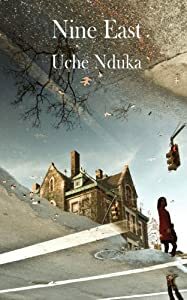 SPM Publications, London, proudly announces the publication of Nine East – a new book of poetry by award-winning poet Uche Nduka – author of such critically acclaimed books as Flower Child (1988), Second Act (1994), The Bremen Poems (1995/99), Chiaroscuro (1997), If Only The Night (2002), Heart's Field (2005), eel on reef (2007), Tracers: e-book (2010), and Ijele (2012). Nduka, a poet, essayist, songwriter, collagist - is ranked among the most innovative writers of his generation. Nine East was released on the 31st of May 2013 by SPM Publications – a London-based publisher whose other authors include Roger Elkin, Mandy Pannett, Afam Akeh, Molara Wood, Nnorom Azuonye and Obemata. Nine East uses 100 poetic observations to explore our collective human environments; teasing, questioning, celebrating, and enjoying life and how we live it, how we love, how we know and use our bodies and how far we push our minds and spirits. It is an assured, mesmerising and fun book of poetry in which every breath of love and life is captured in organic music. "There is much to appreciate in Nduka's joyous language, his percussive rhythms; his sense of movement runs like a river..."
"In Nine East, Nduka locates the grace of our graphic, bodied days, in verse somehow both free and arresting – volleyed between playful compound neologisms and stark, unaffected prose these lines capture the poet's life in all its quotidian wonder, the word recalling always our dual anatomies, formed of cell and sentence. The edges blur as we enter the pace of these pages, knowing ourselves here, asking ourselves (as Nduka asks himself, and us) why we are waiting for a bus as the poem's face is lifting off, almost slipping out of the page, making room for the unintended. They are poems for now, and for here." "The trouble with Uche Nduka is that he is incapable of writing a single poem that does not confirm his reputation as a – no, make that “the” – the master of the word. In Nine East, every word is a world ajar, beckoning. Reader, you must enter this world – Uche’s world made ours – where an enthralling marriage of perception and lyricism guarantees that your senses shall never be the same again. This is what we ask of the truly great poet, what we ask of great poetry of the sort that Uche Nduka delivers in this book." Nine East is now available to order direct from SPM Publications at www.spmpublications.com and through such online retailers as Barnes & Noble, Amazon.com and Amazon.co.uk. Until Nine East becomes available in Nigeria and other African countries, SPM Publications will deliver directly to Africa from England. Details of Book launches and reading tours in the United States, the United Kingdom and Nigeria will be announced in due course. 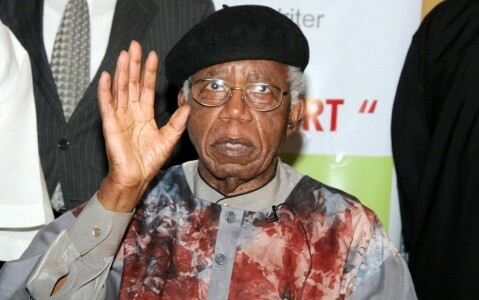 As we inch towards the burial of Nigerian novelist and poet Chinua Achebe, tempers have risen over his family’s acceptance of a national burial funded by the Federal Government and the governments of some states in Eastern Nigeria. The reason for this being that in life Chinua Achebe rejected honours from these governments he deemed corrupt and inept. The argument being that it is a betrayal of his principles to have his body buried by the same government he would not accept honours from in life. Personally, I think, and possibly wrongly so, that to have Achebe’s funeral dealt with by the Nigerian government will never affect his position in history as a great writer and critic of bad governance. Not one of the ideals he stood for in life will become eroded because he was buried by the enemy after he died. If there is any sin here at all, it is not Achebe’s sin. Achebe also lived a long life and managed to publish his personal history of Biafra before he died. I would think that a person of Achebe’s stature would not have died intestate. If he did not expressly state that the Nigerian government must not come near his remains, then it does not amount to a betrayal if the family has accepted to have the Nigerian government bury the him. Frankly, I find it hard to believe that the topic would not have come up in his household while he lived. Somebody must have asked him what the family’s position should be if the governments wanted to get involved. Especially after the way the Nigerian government hijacked the burial of Chukwuemeka Odumegwu-Ojukwu, surely this must have come up. Collins Archie-Pearce & Azubuike Erinugha (Writer/Director, The Champion Sportsman) Photo: African Dazzle. I looked forward to May 10, 2013 with measured optimism. The audience engineering campaign for the UK Premiere of The Champion Sportsman gained traction with the meanest reluctance. The long-suffering Nollywood movies audience made us sweat for postponing the premiere from November 2012, and I began to feel a nasty bubble in my stomach when of all the original ticket buyers from 2012 who received full and immediate refunds following the postponement, only one person, the amazing Chioma Yvonne Mbanefo returned to buy a ticket this time, and she did that just to show support even though she was going to be in faraway Belgium at Chika Unigwe’s event during the hours of the premiere. The marketing team did not give up and pressed towards the mark, and in the last few days there was a surge in interest and the tickets uptake rose exponentially. By the eve of the event, we felt happy that there were over 100 advance ticket holders, a mix of celebrity invitees and lots of John Okafor’s fans. We were all excited because we felt that with the assurance of so many callers who wished to buy tickets on the night, it would be a full house. Unfortunately, on that Friday morning we received the rude shock that John Okafor (Mr Ibu) was definitely not coming to England. He did not get on the flight that morning. (c) evidence of his accommodation in London for 1 week booked from the 9th of May. 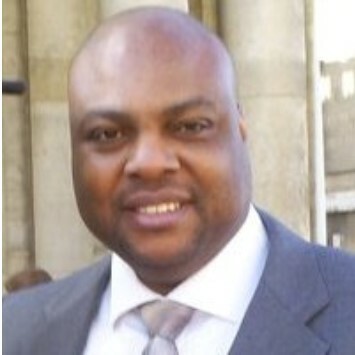 It turned out that Mr Okafor, being fully aware of his commitment to his fans and to the producers of this film, having received a fee to attend the event, having been provided with a flight ticket, chose in his wisdom, during the week of the premiere to send his passport to the US Embassy to obtain a visa to the United States, but unfortunately as at that Friday he was due in London, the US Embassy had still not returned his passport. The words we can use to apologise to our various publics do not yet exist. We sincerely hope that our regular supporters who buy tickets to film premieres we market will not hold this breach of contract by Mr John Okafor against us or against any other promoter of a Nollywood event. There was no Mr Ibu, but the show did go on. I was outside for more than 40 minutes into the screening of the movie firefighting. The screening started at exactly 11:30pm, 10 minutes before we were scheduled to start. We gained time because the live comedy show by Mr Ibu did not hold. But people continued to turn up for the screening up to 12.30 am and were angry that they had come all the way only to miss the film. When I asked why they were showing up as 12.30am for a film scheduled to start screening at 11.40 on the programme, they said it was because of precedence. Writer Ndu Buisi had earlier warned me that evening to expect people turning up at 1.00am, apparently he had attended a premiere advertised for 8pm which did not start until 12.30am. I am glad that we did start early enough but what made my evening was that when I was satisfied that nobody else would turn up and cause any problems, I went inside to see the rest of the film. I walked in to a carnival of laughter. As I stepped into the theatre, I was greeted by one of the cleanest Nollywood pictures I have ever seen. People were laughing themselves to the point I worried they would wee wee on the Odeon seats. The sound quality was exquisite. The film offered and the reaction of the audience was nothing short of fireworks and I was happy and for a moment I forgot how much of a graft it had been. Much gratitude to all the parties involved in marketing The Champion Sportsman UK Premiere, particularly Collins Archie-Pearce, Amanda Okoli of Kirby PR, MikeCaze Global, Pink Enterprises, and Nollywood Movies.